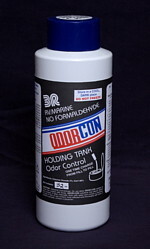 Odor-Con has a shelf life of about 2 years so please take that into account when ordering. Quart container contains 32 treatments/60 gallon tank capacity. 4 ounce, pint size and gallon size also available.